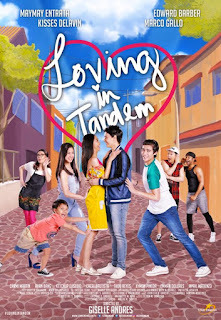 Loving in Tandem is a romantic- comedy movie featuring the fresh tandem of Maymay Entrata and Edward Barber, directed by Giselle Andres and written by Kristine Gabriel under Star Cinema productions. Released in cinemas September 13, 2017 nationwide. It is a story of Shine (MaymayEntrata), a free spirited, happy-go-lucky and family oriented girl. She focuses on how to help her family due to their financial dilemma. One day she opted for the help of pickpocket friends to gather the money she needed. 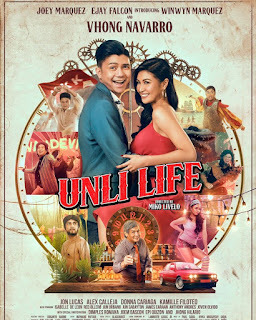 While Luke (Edward Barber) a Filipino-American boy, grumpy and unmanageable travels to the Philippines to convince her mom to sell their house in order to give it to his father in settling debts. Unfortunately, Shine’s pickpocket group victimizes Luke and took his money for his flight back to states. As Shine discovered what happened and found out that Luke just lives near her, she tries to make amends with him. Luke on the other hand blames Shine and made her to work multiple jobs in order to pay him back. Will Shine will able to come up with the money she owes? Will Luke goes back in the states? The film revolves within the two different people and the possibility if they can get along, Shine’s optimism and cheerful can change bitter and grumpy Luke. From the sweet moments and hirit lines, the movie depicts a satisfying and not so typical storyline. A handsome boy with the unconventional pretty girl. An enjoyable movie.